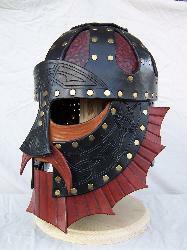 I call this the "Dragon Guard" helmet. 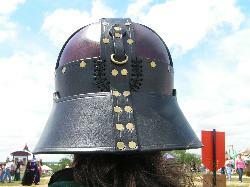 in place on your head. 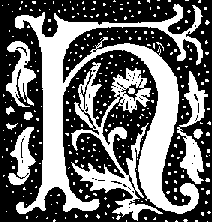 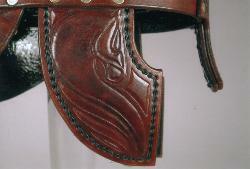 use this stitch as it does with regular stitching. 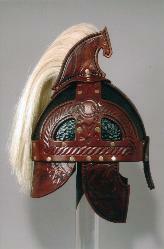 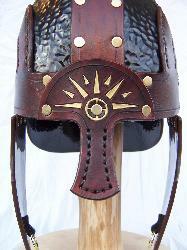 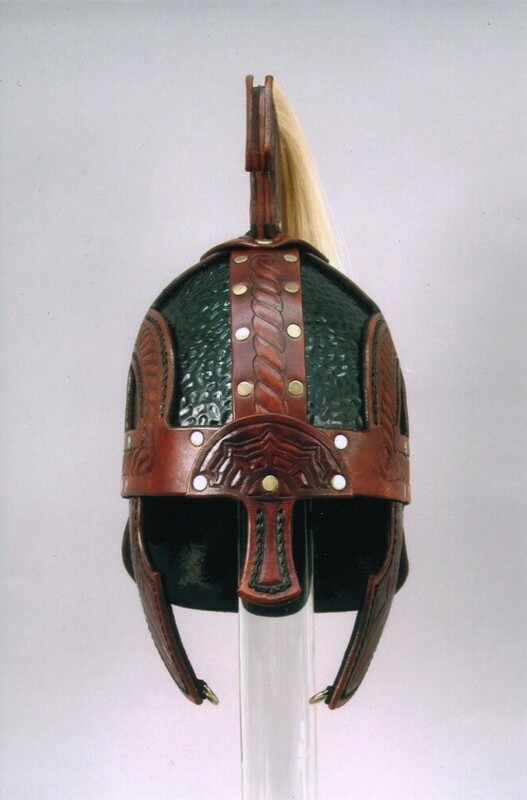 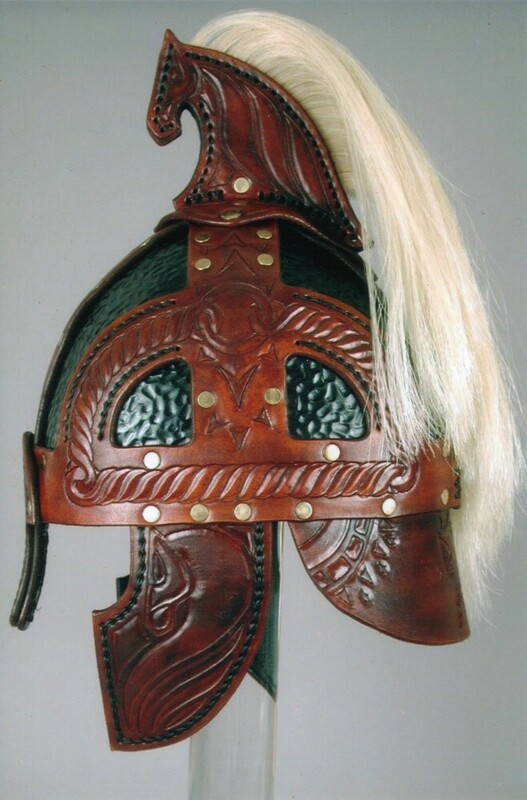 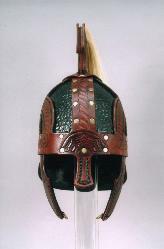 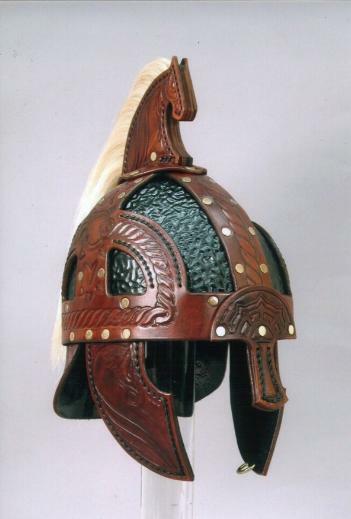 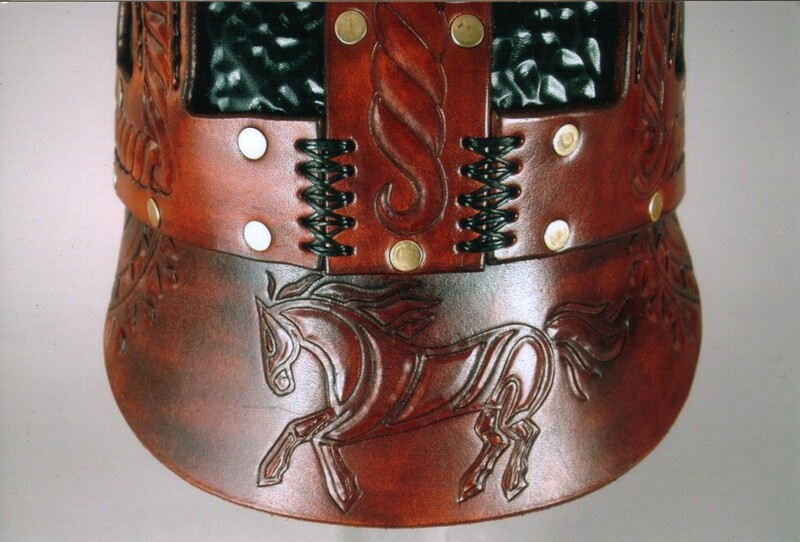 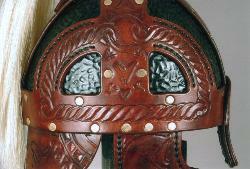 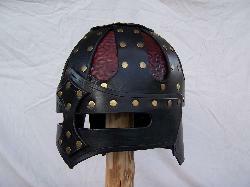 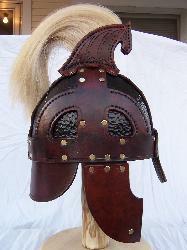 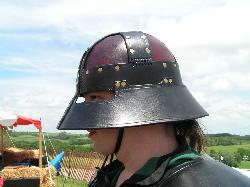 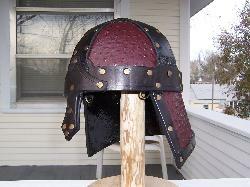 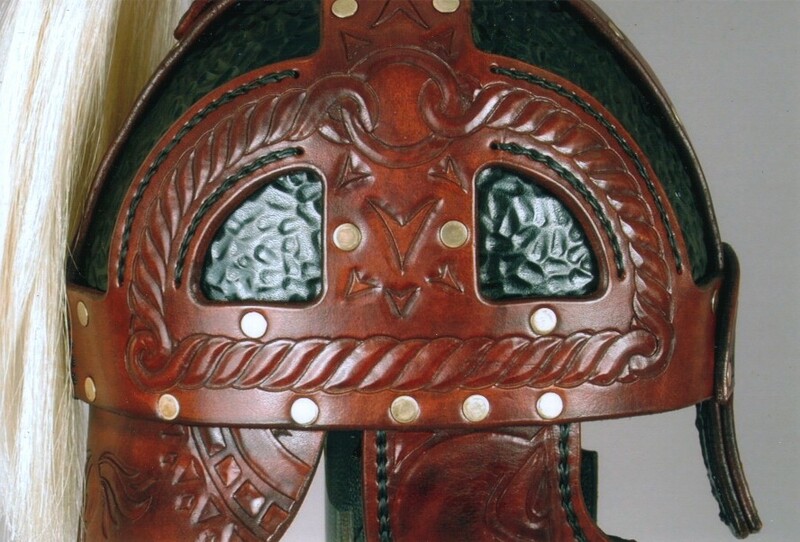 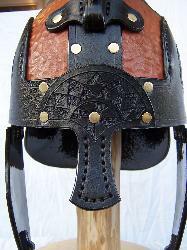 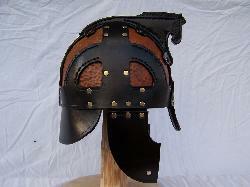 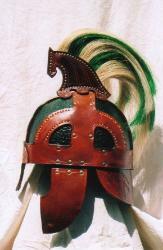 This helmet style is based upon the helms worn by the warriors of Rohan, as seen in the "Lord of the Rings" movies. 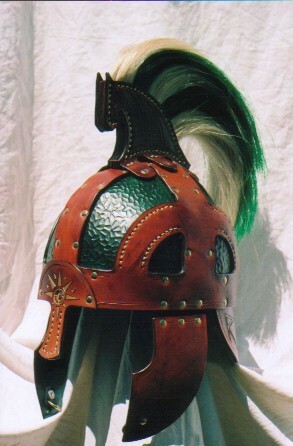 not see it again. 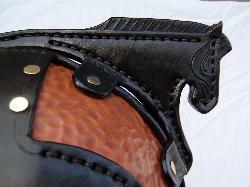 It is by no means a lesser mechanism, the new one is just easier to assemble. 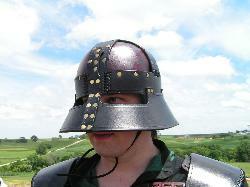 Thanks to my brother for the professional photos. 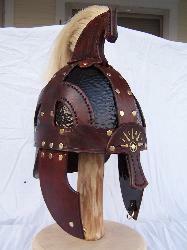 The helmet stand is quite a piece too. one with a prominent forward crest. 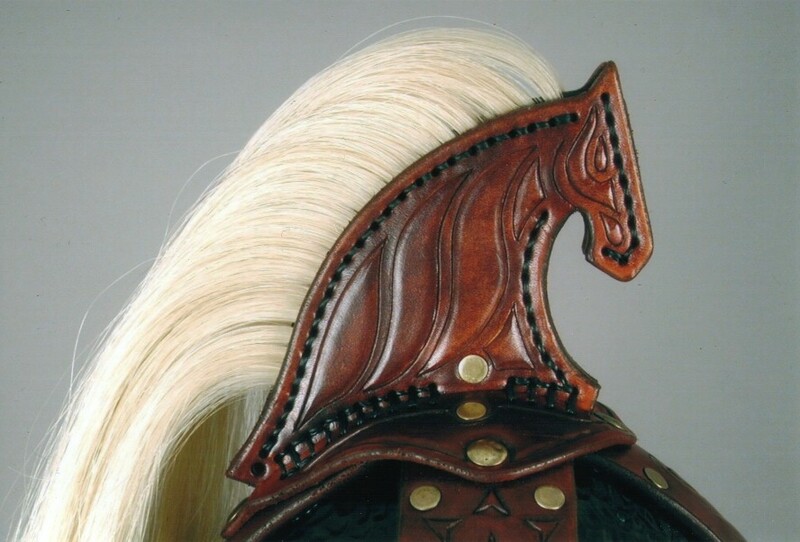 shape of the neck defence. 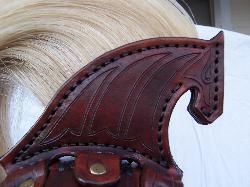 Detail of the Horselord above left. 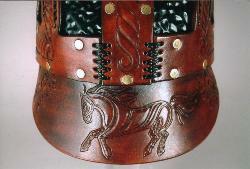 This crest is called Stallion Statant.